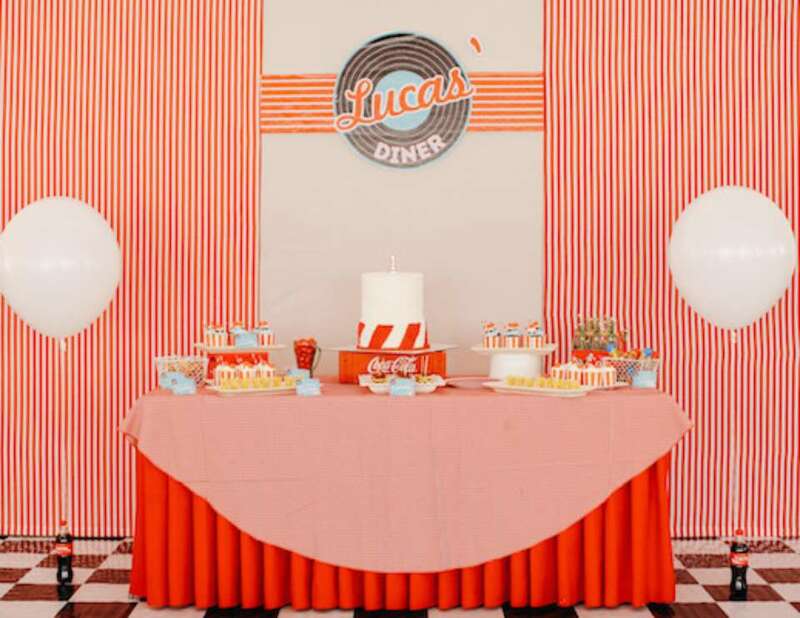 “My son, Lucas, celebrated his first birthday a couple of months back, and my sister and I put together an awesome 50’s Diner-inspired party for him! It was a fun afternoon reliving the 50s – with guests coming in in their 50s look, munching on diner comfort food, playing hoola hoops and bubble gum blowing, all while 50s music was streaming in the background! It seemed like a scene straight out of the movie Grease! 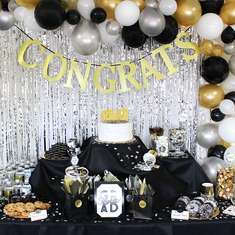 - The fact it was a do-it-yourself party! The late nights planning and cutting and gluing were all worth it! - The wayfarer sunglasses, cat-eye glasses and soda jerk hats waiting for the kids by the entrance! 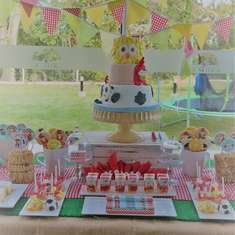 - The diner-themed treats by the dessert table with matching adorable dessert labels! “Ain’t nothin’ but a burger” and “I met him on a sundae” aaahhh, too cute! 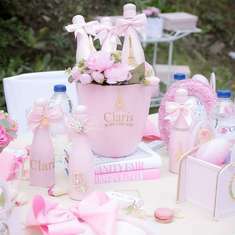 - The table centerpieces, all of which came from my Coca-Cola collection! They were happy to be out of storage and finally taking spotlight! 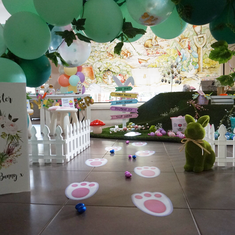 - Our “Candy Scooping Station” with a D.I.Y. gumball machine! Flip over a claypot, put a huge fishing bowl on top of it and voila! You’ve got yourself a candy machine”! Not your regular catered party menu! We had the classic comfort diner food: burgers, mac and cheese, fries, milk shakes and the likes! Games straight out of a 50s party: name that tune, hoola hoops, bubble gum blowing, etc.